It seems that Apple isn’t the only company detailing the release of its upcoming tablet this week, with Dell’s CEO giving a little more detail on the PC giant’s upcoming Mini 5. The folks over at TechCrunch had the chance to talk to the man himself while he was in Switzerland for the World Economic Forum, where he seemed relatively happy to talk about the upcoming tablet device, including the fact that he expects it to see a launch in the US in the coming months, the first indication of its launch yet given. Sadly, so far there’s no word on Europe, though hopefully that’ll change soon enough. 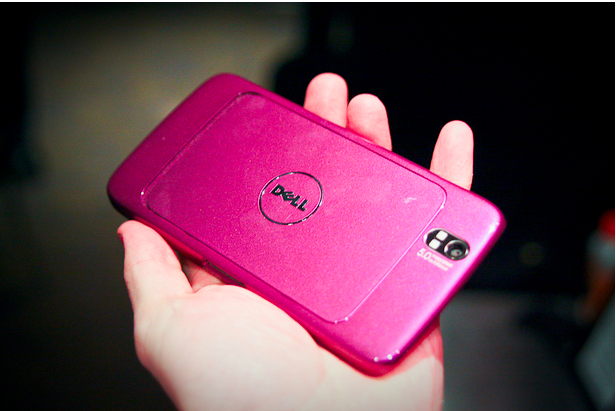 For those who haven’t had the pleasure before now, Dell’s Mini 5 is a five-inch touch-screen device, boasting the same 1GHz Qualcomm Spadragon processor that powers Google’s Nexus One smartphone. The device runs Google’s Android 1.6 (and we’ll be curious to see if and when there’s an option to bump the device up to Android 2.0/2.1) and boasts its own 5 megapixel camera, as well as both Wi-Fi and Bluetooth for connectivity and 3G for anything less local. It’s an interesting device, and one we’ll be curious to get our hands on. So far Dell hasn’t released any word on just how the device will launch, but it seems likely, given the fact that it has a 3G option, that it’ll be offered with some kind of subsidisation from mobile network providers. Still, before that subsidy, we are looking at a price around the $1000 mark, which could well (through the miracle of transatlantic alchemy) become €1000. It may well prove just a little heavy for many people’s wallets. Shame really, it does look a lovely device. You can check out the piece at TechCrunch for a video of the Android-based Dell tablet in action. This entry was posted on January 29, 2010 at 12:43 pm and is filed under News, Products. You can follow any responses to this entry through the RSS 2.0 feed. You can leave a response, or trackback from your own site.